This tutorial may be labeled “Windows 8” but it works in other versions of Windows. The tutorial will apply to Windows XP, Windows Vista and Windows 7. It will work in 32 and 64-bit versions of each Windows operating system. 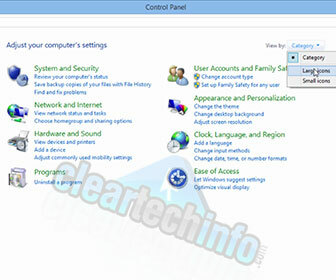 There are various ways to get to the Windows Control Panel, I will show you the fastest way I know. If you have any QUESTIONS or COMMENTS about the Windows Control Panel or need help on something related to Microsoft Windows, feel free to ASK FOR HELP BELOW!